Terrell E. Horne III, age 34 in December 2012, was aboard a RIB (Rigid Inflatable Boat) from the U.S. Coast Guard cutter Halibut trying to interdict a 30 foot fishing boat off souther California when the fishing boat rammed them, he fell in, and was killed by a propeller. We covered the accident back then with Terrell Horne USCG Killed by Boat Propeller While Interdicting Smugglers. USCG named the 31st fast response cutter, a 154 footer after him, the Terrell Horne (WPC-1131) per the 20 March 2019 Modesto Bee and other references. A film of the cutter arriving at Los Angeles – Long Beach Coast Guard Base in San Pedro January 2019 is below. Earlier, Terrell Horne was honored when a street was named after him and by a marching band cadence. 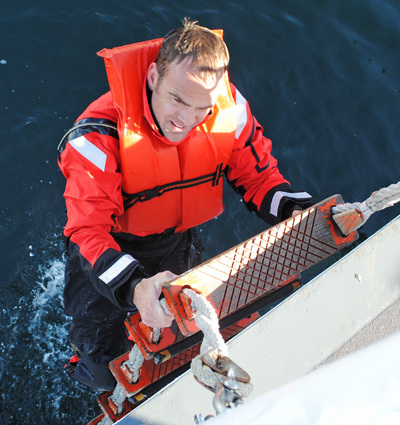 We commend USCG for keeping the memory of this fine young man alive and for honoring his family.